"Oh, as to the books that are to go into the Uniform Edition? Begin with Innocents Abroad, and put in all the books that have been published by you and by Webster and by Harper." Each volume of American Publishing Company's uniform editions of Mark Twain's works features a title page with a monogram designed by Tiffany and Company and etched by artist William Harry Warren Bicknell who signed his name "W.H.W. Bicknell" in the lower left corner. Samuel Clemens instructed publisher Frank Bliss to put his first best seller The Innocents Abroad as Volume 1 of the 1899. 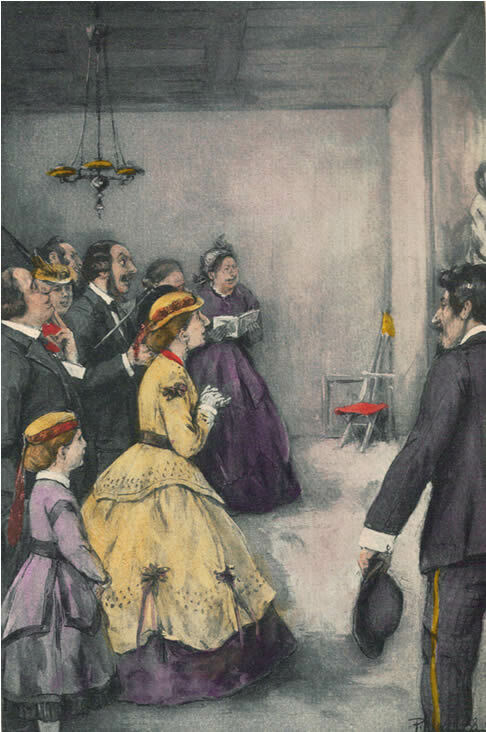 The Innocents Abroad was first published by American Publishing Company in late July 1869 as a massive subscription book containing 61 chapters in 651 pages with 234 illustrations. The book was the story of his five-month cruise aboard the steamship Quaker City throughout the Mediterranean and Holy Land in 1867. Most of the illustrations were drawn by artists True W. Williams and Roswell Morse Shurtleff. In order to reconstruct the book in a size that would be uniform in width with other volumes which were shorter in length, The Innocents Abroad was divided into two separate volumes which became not only Volumes 1 and 2 of the uniform set, but also parts 1 and 2 of the title work itself. The original illustrations were eliminated and new printing plates produced. Running page headings that were present throughout the first edition were dropped. An essay to the entire uniform edition titled "Biographical Criticism" written by Brander Matthews introduces Volume 1 followed by Mark Twain's own "Preface to the Uniform Edition." Volume 1 ends with Chapter 27. Volume 2 begins with new chapter numbering and what was once Chapter 28 from the first edition of the book is Chapter 1 of Volume 2. While the new edition of The Innocents Abroad offered Clemens an opportunity to revise and refine his work, there is no evidence to indicate he took an active interest in doing so. No detailed comparison of the text of the 1899 uniform edition to the 1869 first edition has been conducted. Production of the new 1899 plates also had the potential to introduce inconsistencies into the texts that were the result of typesetting errors. No examination of Morgan's notes for The Innocents Abroad has been conducted. 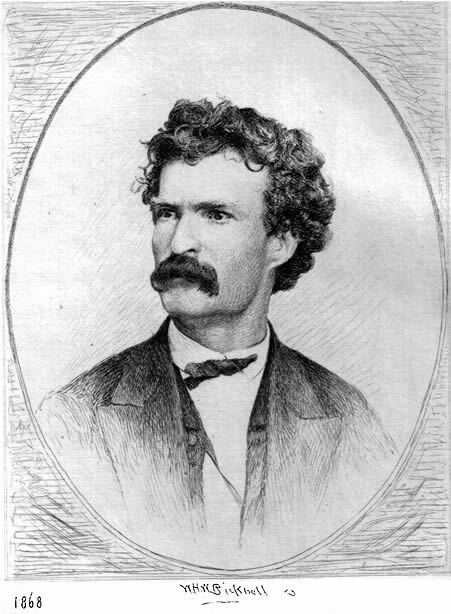 Frontispiece of Volume 1 etched by William Harry Warren Bicknell based on a photograph of Mark Twain. Bicknell dated the photo 1868, however the illustration list dated it 1869. Peter S. Newell (b. 1862 - d. 1924) was born in McDonough County, Illinois, the son of Fred Newell, a wagonmaker. As a youngster, he attended schools in Bushnell, Illinois. He later went to New York and attended the Art Students League for a short time, but he was largely a self-taught artist. He did most of his professional work for Harper and Brothers. 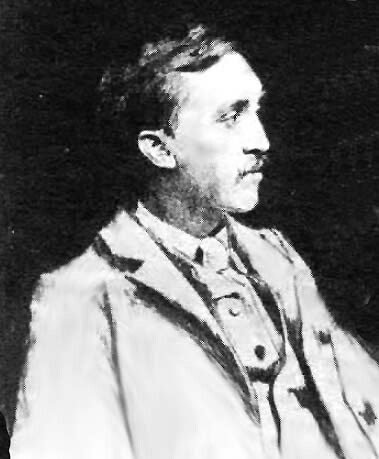 He had worked for Frank Bliss previously when he provided five pictures for the first American edition of Following the Equator (1897). 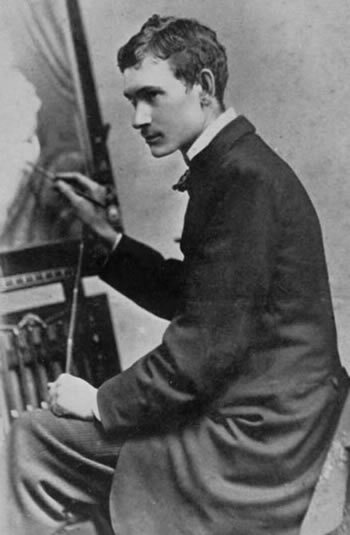 Bliss hired Newell to furnish six new full-page illustrations for Volumes 1 and 2 of The Innocents Abroad. His receipt for $500 payment for the six drawings dated November 15, 1898 survives in the special collections at the University of Virginia. A close examination of Newell's illustrations shows he signed the date '98 to some of the illustrations. Several of Newell's illustrations were fresh spins on some of the original illustrations and they retained all the humor found in the original works. Peter S. Newell received $500 for six illustrations for the 1899 edition of The Innocents Abroad. Calculating for inflation, that would be the equivalent of over $12,000 in year 2009. Peter Newell's "They Stand Entranced" appears in The Innocents Abroad, Volume 1 as a black and white illustration. It was hand-colored and appears as the frontispiece of Volume 1 of the Riverdale Edition issued in 1901. It represents a scene in the text that was not illustrated in the 1869 first edition. Goltra, Mabel Hall. "Peter S. Newell, Cartoonist," Journal of the Illinois State Historical Society, Vol. 41. No. 2 (June 1948), pp. 134-145, 150. Newell, Peter to Frank Bliss, 15 November 1898. Accession No. 6314, Box 7, Folder 1898 Nov 15. (University of Virginia Library, Special Collections). Twain, Mark. The Innocents Abroad, Volume I. Edition De Luxe. (American Publishing Company, 1899).